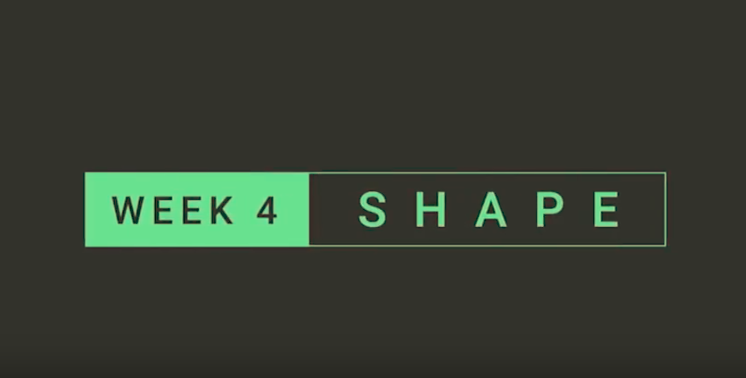 Week 4 was all about SHAPE! After a few weeks of prepping and massaging both the mind and the body, you are ready to move forward and start creating the SHAPES you want and need. Building strength on top of a body that is tight and therefore weak, is just a recipe for disaster, not to be too dramatic! If you have used the past weeks of foam rolling and stretching to your every day advantage, you’re ready for more! For this weeks BODY segments you will have a full body weight workout by the end of the week. EXCITING! Let’s explore how you would like to SHAPE your body and mind! For more #dailyfix subscribe to my YouTube channel!